Last-start winners LUCKY JACKSON and IOWA will be out to continue their winning form when they step-up to Saturday metropolitan grade at the Sunshine Coast tomorrow. 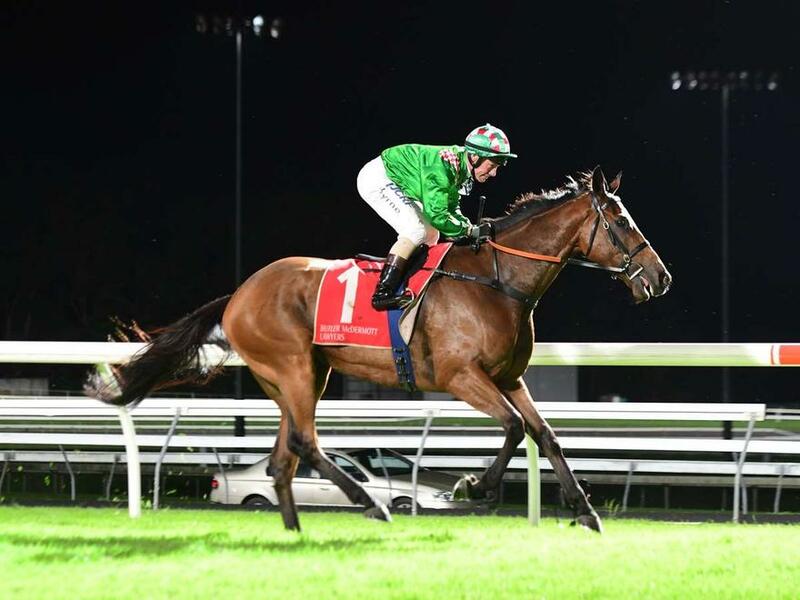 LUCKY JACKSON was an impressive first-up winner over an unsuitable 1200m at the Sunshine Coast a fortnight ago while IOWA appreciated the step-up in distance to 2180m when scoring at Ipswich last Friday. LUCKY JACKSON rises to the 1400m in the Benchmark 70 Handicap and will again be partnered by Jim Byrne, who will have to navigate a passage from a wide barrier. IOWA remains at 2200m and has drawn the inside barrier for jockey Ryan Wiggins. Stablemates NIKITAS and CEOL NA MARA also line-up on the Sunshine Coast program, with CEOL NA MARA stepping up to a mile in the Eagle Way Stayers Series Heat 3YO Hcp and NIKITAS returning to the the races after a month-long freshen up since his first start for the stable. Meanwhile, the stable also has two runners at the Gold Coast tomorrow in FLYING DEE JAY and WASHINGTON STREET. TRAINER COMMENTS: "She's drawn a nice barrier for her first go at the mile and it looks a pretty even 3yo race. Obviously it's her first go at the trip so we go into unchartered territory but I'm pretty confident she'll run the distance out. It looks as though she'll get a nice run from the gate, either box-seating or another pair back, and if she's good enough she's certainly going to be hitting the line strongly." TRAINER COMMENTS: "I can't fault her going into the race. She's had a couple of solid runs for us now and she continues to hold her form and looks good. Obviously we go into unchartered territory if she can run a strong 2200m around a big track like Caloundra, it was 2180m the other day at Ipswich but it was only a Class 1 so we're up in grade here. I'd expect her to be midfield or closer from the good draw and as long as she gets to relax and settle, I'm sure she'll hit the line strongly." TRAINER COMMENTS: "He's had a space between runs but he has had a jump out in between to keep him up to the mark. Ryan Maloney rode him in the jump out (WATCH HIS RECENT JUMPOUT BELOW) and he was quite adamant that he was ready for the 1400m. It looks like he's going to get a nice run just behind the speed and the only concern will be the length of time in between the runs and whether his condition holds out. But he's fit and healthy and ready to go to the races." TRAINER COMMENTS: "He hasn't drawn ideally and it's a pretty solid Saturday race but he'll be ridden the same way as he was the other day back off the speed. If he gets the right trail into the race I would say he could run another creditable race for us once again. He likes Caloundra and he's looking for a trip so I'd like to see him finish the race off strongly for us." TRAINER COMMENTS: "She's drawn poorly, however, the back straight at the Gold Coast isn't too bad and I don't think there's a lot of speed in the race which should hopefully allow her to roll forward and control the tempo of the race. She's done very well and looks good - I'd like to have a dollar for every dapple she's got on her. She's improved off her first-up run and we'll go to the races expecting her to acquit herself well." TRAINER COMMENTS: "He hasn't drawn the best but he's ready to go the races after a long break and I'll be instructing Nathan to ride him just where he's comfortable. The horse is fit and healthy and he'll race well for us but after such a long layoff, I'm sure he'll improve on whatever he does tomorrow once we get out to a more suitable trip."